Native peoples in the Southwest take the long view. They have lived in the redrock canyons of the Colorado Plateau for 12,000 years and have shown astonishing resilience in the face of devastating change in the last 500 years. Now, they bring this ancestral perspective to the management of public lands in the canyons and mesas of southern Utah. For the first time in conservation history, the primary advocates for a new national monument are the tribes themselves. This historic Native coalition is trying to protect the wildlands that sweep southward from Canyonlands National Park toward the Navajo Nation. The tribes’ allies include travelers, hikers, and river-runners who don’t want to see oil rigs and endless networks of off-road vehicle tracks here. But the visitors who gaze awestruck across the buttes of Greater Canyonlands, who boat through the canyons of the San Juan River, and who stand enthralled by rock art and cliff dwellings on Cedar Mesa, may not realize how deeply all of these lands matter in the daily lives of Native people. For the Bears Ears Coalition, the unacceptable language in Bishop’s proposal confirmed the “inequitable treatment of tribes over the past three years and our need to seek other means of protecting the living cultural landscape we call Bears Ears.” The development proposals in Bishop’s Initiative have led coalition members to focus on President Obama, who could use the Antiquities Act to proclaim a Bears Ears National Monument in southern Utah. Led by the Navajo, Ute Mountain, Hopi, Zuni, and Uintah and Ouray Ute nations, a coalition of 25 tribes has asked the president to preserve 1.9 million acres of public lands surrounding the Bears Ears buttes. The Intertribal Coalition proposes co-management of this monument through an eight-member commission. One person would come from each tribe, and one representative could come from each federal agency that manages land within the boundaries – the National Park Service, Forest Service and Bureau of Land Management. Hopi Tribal Vice Chairman Alfred Lomahquahu Jr. calls this new approach a breakthrough for Native Americans. He sees it as a return to the original intent of the Antiquities Act and an approach that could serve as a template for national monuments elsewhere in the country. Co-management creates a new “tool of self-determination and sovereignty to benefit the tribes,” he said. This extraordinary landscape deserves protection for all the reasons that we typically think of as imperatives — its ecological and wilderness values, all of which are threatened by destructive oil and gas development. Cedar Mesa, in the heart of the Bears Ears proposal, shelters more than 56,000 cultural sites that reach more than 12,000 years into the past. This unbroken cultural record makes this remote corner of southeastern Utah among the richest archaeological districts in the United States. Yet Bears Ears, the nation’s most significant unprotected cultural resource, is also starkly threatened today by vandals who ransack prehistoric graves. For all of these reasons, the Bears Ear coalition has urged the president to act. By elevating these lands to national monument status, we protect canyons actively consecrated and blessed by Native prayers and preserve living libraries of indigenous traditional knowledge. All of us, Indian and non-Indian, would benefit as we come to know and participate in these sacred landscapes. As Willie Grayeyes of the Bears Ears Coalition puts it, the new monument would help us “come to the table of equality.” This historic Native vision of reconciliation and healing nourishes us all, and I hope the president acts boldly in response. 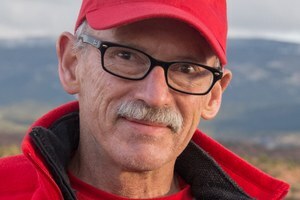 Stephen Trimble is a contributor to Writers on the Range, an opinion service of High Country News. He teaches writing at the University of Utah Honors College and is the author and photographer of The People: Indians of the American Southwest.